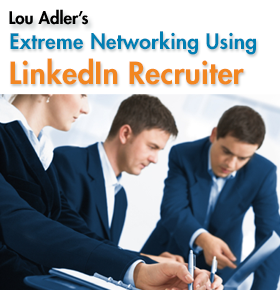 The challenges facing recruiters are increasing at a rapid pace. Performance-based Hiring for Recruiters will help you meet these new challenges head-on by providing the latest tools, techniques, and ideas on what it takes to hire top people. 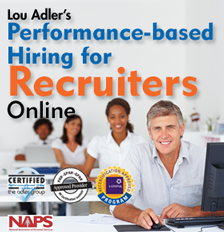 Take the Full Course to get the complete training, become Performance-based Hiring certification, and save! Cost: $1250 for the full course (Includes access to Lou Adler's new "The Hiring Machine" self-paced learning platform, and 1-year membership with 24/7 access to our Resource Portal, Recruiters's eHandbook, Recordings, Hiring Tools and more.) Group rates are available. Performance-based Hiring For Recruiters -- May '19 July '19 Need more Dates? This course includes advanced fundamentals that hiring managers need to hire top talent. 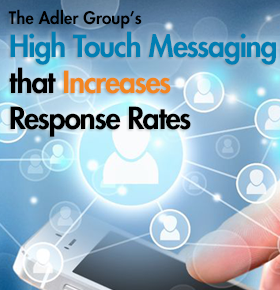 It’s available as an on-site training program, taught by Adler Group master trainers, in full- and half-day versions. 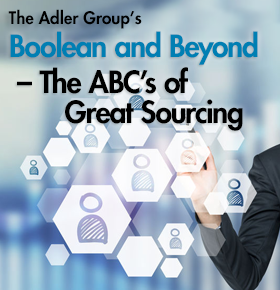 In this two-hour hands-on program you'll learn how to identify top talent using state-of-the-art sourcing and Boolean techniques. Once you’ve identified top talent, how do you get their attention? This two-hour program will walk you through how to develop compelling messaging that speaks to your ideal candidate. Caution: This workshop is intense and will exceed 2 hours. This course is designed for corporate and third-party recruiting organizations that have purchased licenses to LinkedIn’s Hiring Solutions suite of products. Cost: $295 (Includes 1-year membership with 24/7 access to our Resource Portal, Recruiters's eHandbook, Course Recording and Lou Adler's Crazy Ad Wizzard) Group rates are available. 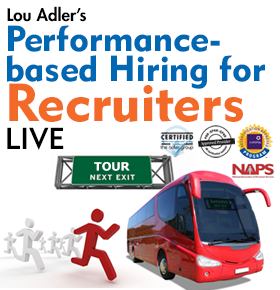 We’ve taken Lou Adler’s Performance-based Hiring for Recruiters on the road to a city near you!